Digital marketing solutions to make your business thrive. SYNERGY CAN HELP YOU IN YOUR BUSINESS PROMOTION! Whether you are just beginning a small business or trying to bring your existing business to a new level of growth, PROMOTING the goods or services your company provides is essential to its success. What’s the hardest thing about starting a business? For many new business owners, the answer is FINDING CLIENTS OR GETTING CUSTOMERS. This is particularly if your marketing budget is limited. As many new business owners quickly discover, the most difficult part of starting a business is finding customers. Having a great product or service that you are sure many people will need isn’t good enough. Customers won’t find you or your product / service just because you have started selling a product or service. Building online presence is one of the key services we offer for promotion of your business. GO DIGITAL – ARE YOU PRESENT? Be where potential customers expects you to be – online and mobile. Get added exposure and get your product and service promo messages through to million of email and mobile users. It’s simple with expert help. Our website team is made up of experts in web design and development, user experience and website copywriting. Your one-time setup and design fee includes a professional, one-on-one consultation so you can share your vision that they’ll bring to life. They’ll work with you to learn everything they need to know to make sure your website is a true reflection of your business and attracts the right customers. Plus, your monthly management package includes website hosting, emails, domain name, a bank of creative service hours to keep your website content fresh and looking its best, and Presence Pro to manage your Internet presence. PRO DESIGNGives your business the professional look it deserves. PRO WRITINGLeave it to our web wordsmiths to tell your story. SEO-FRIENDLYRaises your search engine ranking. The higher you place, the more you’re noticed. MOBILE WEBSITEOptimized to look as good on smartphones as on computers. SOCIAL SHARE BUTTONSLets visitors share your business info with a click. MAPS & DIRECTIONSInteractive maps and directions to help customers get to your door. PHOTO GALLERYShowcase your very best. People, products, interiors and more. … AND MOREIncludes extras such as forms, pro advice and free Virtual Business Profile on Listing Website. Today, your customers are using different devices, websites and apps to learn about and connect with businesses like yours. Being present and up to date on all these properties is almost impossible without help. That’s why we made Presence Pro, to make it easy for customers to find you and choose you, wherever they are looking. Be present on 30+ key websites, directories and apps including SBC, Facebook, Yahoo!, Foursquare and many more! If you don’t have a website, you can get your start on the web with a unique web presence on the web with a free Virtual Business Profile on SBC. INTERNET PRESENCEYour business profile on Internet properties selected for you by SBC. CONTROL YOUR PROFILEAccess to 24/7 Business Centre to help you optimize your profile information. EFFECTIVE DESCRIPTIONYour business description written by SBC professional copywriters. DEALSAbility to add up to five deals to entice new consumers. SPECIALIZED HELPThree assistance-requests each year to help with: writing, translation and images. YOUR PLACE ON THE INTERNETPresencePro offers businesses without a website their very own Web page with their very own domain name. ENHANCE SBC PROFILEMore description fields, up to 25 photos and videos, map and driving directions to your business. Get Presence Pro Extended to make sure that you also have an up to date presence on Google My Business. Being present on Google’s main small business listing increases the chance of your business being viewed by consumers through their searches. It’s a great way to increase your exposure on the most-used search engine in Pakistan! Engage, entertain and educate online and mobile users with a fully custom, shot on your location video. Show what makes you different, include customer testimonials or use how-to videos to show off your expertise. The sky is the limit. Our professionals will take care of scripting, setup and even add professional voice-overs and visual effects if you want. And because it is your video, you own it. Give us your photos or choose from a huge library of high quality images and we will build a dynamic video slideshow to share your story. Show what makes you different, include customer testimonials or use how-to videos to show off your expertise. The sky is the limit. Our professionals will take care of scripting and add professional voice-overs and background music. And because it is your video, you own it. A picture is worth a thousand words. Imagine what you can say with up to 25 professional photos. You will get an expertly managed and guided photo shoot at your business. Showcase your products, services, location, team and more. Easily publish your photos on your online business profiles, on your website and more. And once purchased, they are yours. Forever where potential customers expects you to be – online and mobile. Be present online where your customers are looking for you. It stands to reason that the more you’re seen, the more you’ll sell. Pick your Priority Placement level. Dominate your market with guaranteed visibility — you ALWAYS appear in top search results — for maximum lead generation. Impression based HTML Banner Advertising makes your presence visible on every Page of SBC resulting in over a million impressions per month. Let’s go the extra mile! Fully managed B2B Email Marketing Campaigns. We offer a complete service covering every aspect of your campaigns from conception to execution. Our approach is designed to take the hassle out of making email marketing work for your business. We have an authentic email database of over 100,000 thousand businesses of Pakistan. 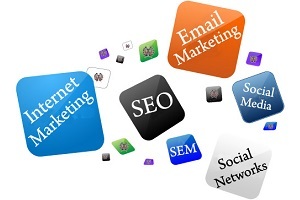 Email Marketing Campaigns can be designed for a specific City or any category of business type. For example you can choose to communicate with all the dentists in Lahore. Fully managed B2B & B2C SMS Marketing Campaigns. Text SMS Marketing is perfect for local and national retailers wishing to promote products or services, provide incentives and increase customer loyalty and retention. Retailers can send Text SMS messages to their opt-in subscribers with coupons code inserted directly into the message. Customers can come into the stores and present their coupons right on their cell phones for redemption. Now it’s simple to harness the power of digital word-of-mouth. As more Pakistanis flock to Facebook, all kinds of businesses are joining in. Why? It’s a simple way to be part of their conversation and build a loyal community. Facebook Solution makes it even simpler. Our social media experts will set up and maintain your Facebook page, while you take care of business. Build a following, drive digital word-of-mouth, increase traffic. Like we said, simple. Why Building Online Presences is important? According to a White Paper published by Verisign, today, people often turn to the Internet first for information about businesses and products – whether they are shopping online, or simply looking for a business’ address or phone number – making an online presence one of the most important assets for any business; not just to share information, but to build credibility. According to a recent survey of millions of consumers by Weebly, 56 percent said they do not trust a business without a website. Consumers are looking to connect with companies more than ever, and establishing an online presence through a website, blog or social channels provides a great way to fulfill this desire. Maintaining ongoing communication and providing updates on company initiatives and promotions through digital channels helps companies reach a broader audience to create and strengthen relationships and build trust, which is critical for creating the all-important customer loyalty. Moreover, Internet Retailer recently reported that online presence is critical for driving traffic to physical stores. And Forrester Research predicts SALES influenced by the Web in 2014 will reach $1.409 trillion. These are sales driven by consumers looking for product information online while shopping in a store, researching products and services via social media, and conducting comparison shopping among competitors. It doesn’t even include direct sales from e-commerce. With more than 25 million businesses around the globe online, those without an online presence are at a clear disadvantage. Verisign commissioned this research from Merrill Research to glean insight into the motivations, perceived benefits and barriers, and preferences of small businesses around the world for creating an online presence with the intent of helping those small businesses that have not yet brought their businesses online learn from their Web savvy peers’ experiences. How to start getting New Customers? If you’re having trouble finding clients or want to increase clients with minimum marketing and advertisement budgets, we can help you to get more customers. We might be able to help you in your business promotion. By using digital technology and social networking effectively, we can help you promote your small business in many unique, innovative, modern and economical ways. You can call us at 051-222 9 005 or 0321-504 32 62 or email us at info@sbconsulting.com.pk to book an appointment with one of our business promotion expert to know how can we help you in taking your business to new heights. We assure you best professional, ethical and reliable services.